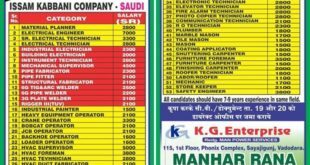 OIL AND GAS JOBS IN ABU DHABI: PETROCHEMICAL OIL & GAS PROJECTS ABU DHABI UAE Company Name TARGET ENGG Final Client Interview for the following trade on 11th Apr 2017. 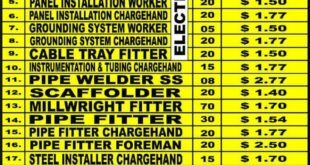 PIPE FABRICATORS PIPE FITTERS Free Food & STRUCTURAL FABRICATORS Accommodation STRUCTURAL FITTERS MECHANICAL FITTERS. Long-Term Gulf Project TANK FITTERS Gulf Return Preferred LIFT MAN OPERATORS RIGGERS. GRINDERS Final Client Interview for the following positions on 12th Apr 2017 FOREMEN SUPERVISORS PIPING STRUCTURAL MILLWRIGHT ROTATING EQUIPMENT candidates must have minimum 4-6 yrs experience in Oil & Gas Walk-in. ANUPTECH TECHNICAL TRADE INSTITUTE R-421, MIDC, Near Rabale Railway Station, Navi Mumbai. Email: [email protected]. CHARTERED TRAVELS: 321, 3rd Floor, Damji Shamji Indl. Complex, Near Madhuban Toyota Showroom, Near Phoenix Mall, Narayan Nagar, Kurla (W), Mumbai-70, Phone-9920486015 / 8089060444 / 022-25120120. Here we had mentioned the oil companies in Abu Dhabi vacancies, for latest Abu Dhabi oil and gas jobs and oil companies in Abu Dhabi vacancies regularly visit our site.